Our provincial government’s latest solution to our unemployment crisis is to roll out a 2-year pilot project called “Alberta’s Employer Liaison Service”. It was announced last week in Edmonton by the Canadian federal Employment, Workforce Development and Labour Minister. The program is already in effect and any employer who is considering hiring a foreign worker from the list of 29 listed occupations should take notice. What this means is…if a company submits a foreign worker application for any of the listed occupations, it will be automatically rejected and they will be referred to a database of local workers in Alberta and basically they will be referring you to the federal government’s hosted job board called “jobbank.gc.ca”. This job board is nothing new. Job seekers voluntarily provide their information and search criteria on Job Bank, much like Indeed, Monster or Workopolis. Employers advertise for free on Job Bank, much like Indeed.com. Just a side note – I attempted to contact the program’s toll-free number to speak to someone at “Alberta’s Employer Liaison Service” and I pressed 2, as instructed. The recording said to go to the website. No surprise there. One of the reasons I chose to write this article was to provide you with further details surrounding this program, because our mainstream news agencies covered the conference and only listed a handful of the occupations and many didn’t reference the actual program or the site you could refer to for the full details of the program. However, I will admit, the main reason I chose to write about this was because…I did a gigantic eye-roll when this was announced. I get the fact that many companies in Alberta choose to hire foreign workers and it often makes perfect sense to do so. Many of those foreign workers (around half) are unskilled and become employed in the food services industry and homecare workers or nannies. Those businesses and their workforce planning will be unaffected. I have reviewed Alberta’s temporary foreign worker figures for the past 5 years and of the 103,372 foreign workers that were permitted to work in Alberta since 2012 ̶ 51,664 were managers/professionals or skilled and technical workers. The other 52,883 were considered low-skilled or clerical. Also, notably 82,710 of those temporary foreign workers were hired between 2012 and 2014 ̶ during boom times, and were approved by our government. Those work permits are set to expire between 2016 and 2018 as the maximum temporary foreign work permit is four years in duration, unless our government decides to extend them. In 2015 and 2016 temporary foreign work permits dropped sharply, so in 2015 and 2016 only 20,662 temporary foreign workers were brought into Alberta in total, and keep in mind around half of those were low-skilled workers. It’s pretty obvious what has taken place. During our last boom we were facing a labour shortage and some employers had no choice but to consider temporary foreign workers – many of them skilled. Today, the market is saturated with unemployed skilled workers. We don’t need to look elsewhere and we really aren’t. Look at the statistics above. Personally, I have recruited professionals and skilled workers for 14 companies since 2012 and not ONCE did I attempt to hire a foreign worker. Not ONCE did one of my clients even suggest it. Why on earth would I, given our massive supply of qualified workers in almost every occupation, sector and industry? Do we really need government intervention here? A newly funded “pilot program”? How about simply restricting the permitting? Perhaps lessening the duration of temporary foreign permits to a year or two, especially given our volatile economy? Maybe relying on the law of supply and demand? The problem here isn’t that we are hiring internationally…the problem is that our economy tanked and there is less investment being channelled into our province for several reasons. We need investment and job creation. Of course we hire local and Canadians first! 2016 Alberta Labour Force statistics indicate that 223,470 Albertans were unemployed at year end ̶ 9% of our overall 2,483,000 workforce. We all know that is inaccurate because those calculations do not include the numerous contractors in our province. Interestingly enough, while our unemployment rate plunged to the depths, the three industries with the lowest unemployment rate remain in government → Healthcare and Social Assistance at 1.3%, Educational Services at 2.3% and Public Administration at 2.3% and IN FACT among the occupational groups that saw the largest increase last year were in the government sector by 17,600 jobs in Alberta. So, for those of you who are even considering hiring foreign workers for professional or highly-skilled positions (chances are you are not) the list of 29 occupations are included below. If you are seriously finding yourself in a position where you feel you need to do this, I recommend you call me and I will find a local solution for you because today foreign hiring is generally completely unnecessary. Thank you to our government, but we’ve got this part covered on our own. For further information on the Alberta’s Employer Liaison Service, please visit www.albertacanada.com as well as www.canada.ca. 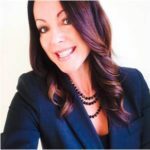 Wendy Ferguson is an Alberta based Human Resources Generalist and Consultant with over 15 years of combined experience in the areas of HR, Business Administrative Management and Marketing. She has worked within a broad range of industries, including: oil & gas, architecture, law, information technology, engineering, accounting and business consulting firms. She works with companies on both a full time and part time consulting basis to help them address their HR management, recruitment and policy needs. She is also a Chartered Professional in Human Resources (CPHR). CPHRs are uniquely qualified to help you achieve your business goals. With proven expertise across nine key business metrics, a CPHR has the knowledge and the experience to address the factors that underpin the degree of your immediate and long term success.